that you would openly have a conversation about a project’s faults? that you would ask a question of anyone – everyone – and thus show your ignorance and that (heaven forbid) you don’t know all the answers (even when you maybe ought to)? to bring up a point that others are scared to bring up for fear of retribution? to point out a mistake another has made (with tact and in private), even if that person has more seniority than you? that you would alert others of a roadblock, even if it might mean political backlash? that you would bring up what needs to be said, not only what others want to hear? Trust, openness and transparency are bedrock ideals of Social Business – yet too many company cultures fears them. For businesses to go into the next phase of economics and be successful this MUST change. So many people won’t do the right thing because of fear of a personal backlash rather than the fear of a project’s failure. When America’s CIO, Vivek Kundra, spoke about the billions of dollars wasted, over and over again, on failed IT projects, I was astounded. We all know that has to do, in large part, with deformed cultures. Success will not be built on whether or not we have some obsure piece of documentation filed, but rather if we, as people (not a process), create a new culture. That’s right – you and I and your office neighbor. We cannot expect to progress without change. 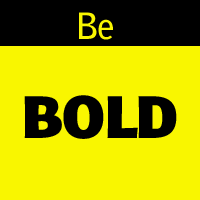 What we need are those who will be bold. Those who are willing to take a risk. Will there be times when you get slapped down? You bet. Times when you will be given unfair consequences? Without a doubt. Times when you say what everyone else wanted to say, yet no one will back you up? Count on it. But if not you, who? There are a few fundemental things we must all learn. How to put on pants. The sun’ll come out, tomorrow. Social Technologies are 90% human and 10% IT. Then why is it we so often default to treating social business initiatives like IT projects? Here is my take: An IT project has clearly defined requirements. We know exactly what needs to be done, how to do it and when the project will be complete. But like economists, rarely are they correct. The perfect path they think they will go down (according to all plans and indications) is rarely the one that reality shows us. Why? People. Oh, you fickle and emotional beings. People mess up all the best mathematical formulas. I have watched many programs – not only social business endeavors – totally change course because people get in the way. Many IT professionals have become so frustrated at users that I have seen them become irate because they don’t do what the programmers thought they should do. And there are others who say that people are important, but when it comes down to it, they focus on that which they can control – and them there people ain’t one of them. So their efforts naturally lean toward that which they can more easily control. It is human nature. And that is OK, unless it is to the exclusion of people. We must remember to make this a people project with an IT element. There was a Bar Camp at the E2.0 conference. I led a discussion on where social business projects should live. Should it be IT or HR or Marketing or…? It started off slowly, but turned into a VERY lively discussion as each realized we all had different views and different remedies. There isn’t one path to perfection. It must be decided by the nature of the organization. But one thing was clear: forget the people and you will fail. Have you seen others focus too heavily on the IT side? What happens? How can we avoid this from happening? What happens if the project is led by IT and they become tool focused? How can you bring the human side into it to dominate? Some good answers are waiting and I would love to hear from others! You may understand this, but those who you may work for probably won’t. Too many people think they get it and feel satisfied with their decision to ignore social technologies and working a new way. During the E2.0 Conference a number of us met with Sandy Carter, VP of Social Business & Collaboration Solutions for IBM. She told us that some executives have decided to “opt out.” Clearly they don’t get it, even though they think they do. This is like my kids who want so badly to drive. They see how effortlessly my wife and I drive, they think they have judged the situation correctly and can drive as well. But when they finally get behind the wheel, the game changes. All the stimulus is overwhelming: the amount of pressure to apply to the gas or brake, where to look when, how quickly to turn the wheel, when to change gears, when to use the turn signal and change the radio volume at the same time as making sure they stay in the correct lane and don’t crash into the vehicle in front of them. Suddenly, the chance for making a mistake skyrockets. Even more dangerous than those who opt out of social business are those that think they get it, but don’t, but still want to move forward on their own without help. Why? If/When they fail, they may blame it on social technologies and not go back or it will put a sour taste in the mouths of the employees or customers. Trust me, those who have been in the business for some time have made the mistakes and can help you avoid them. Yet I still find myself going to organizations who tell me they are going to try to do something without asking if it will work. For example, one organization said to me, “We are going to have an IT fair and there we will ask people what they think of social technologies. From that we should find some pretty interesting information. Then we can move forward.” Not a horrible idea, but when the IT fair is 4 months away, it has been done before in the same mother organization and I could have told them exactly the feedback they were going to receive, they will have just wasted six precious months of non-delivery to their employees. The lesson: Don’t try to do social business by yourself. Ask others who have done it before. They have some experience and knowledge which may be able to help you. They have seen what works and what does not – how to recognize and avoid the roadblocks and how to recognize opportunities you may not be able to see. In reality, this advice could go with just about ANY aspect of business. It isn’t unique or new to social business. When I first tried to introduce social technologies to a company I learned one of my biggest lessons: Stats can only go so far. I was asked to create a presentation for the Executives on social technologies and why we should use them. The charts focused on facts and figures: what social technology is, why we would benefit from it, the assumed ROI, etc. Honestly, it was a poor attempt because there were very little information about this working inside an organization. Coming up with numbers and facts was difficult. Two (out of many) hurdles loomed in front of me: my boss and the Director of IT. My boss thought it was a good idea, but he wasn’t sold. At least until he experienced the value first hand. At that point, I could have given him lousy stats and facts – it would not have mattered because he experienced it and knew for himself the value. From these experiences I learned that 1) experiences & 2) stories (in that order) are much more powerful than stats. Granted, we have to have the stats, but the heart will beat out numbers any day. Stats don’t move us to action – our emotions do. When we hear stories that resonate and when we have an experience, our emotions play a big part in how we will react. Shoot for the heart, not only the mind. How can we capture stories? What should we do with the stories? What if an executive only wants the stats or only gives you time to present stats? How do you help people create their own experiences? 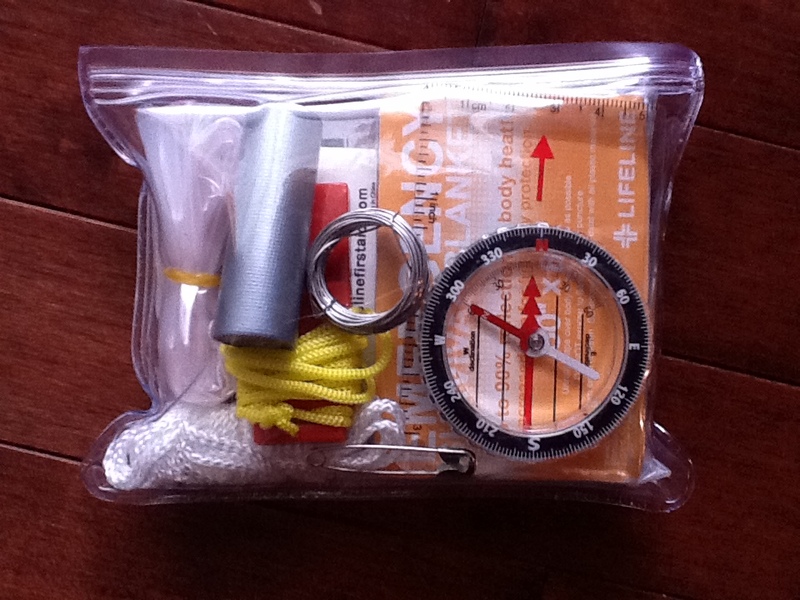 This is a picture of a survival kit (which, BTW, I could not take with my iPhone because I went swimming with it last Saturday – another failure I won’t get into now) – one of the many hiking/camping type knacks I received for Father’s Day. Everything is packed in there very tightly When I opened it for the first time, safety clips came flying out. I know if I took anything else back out, I would never be able to get it all back in. Notice the top zipper part. Would it have hurt to spend an extra penny to extend the top just a little bit so that it wasn’t busting at the seams (one of my pet peeves for packaging)? Yet this is often how we buy social business. Some buy the cheapest platform that can be found, put it on the cheapest hardware and then hire as few people as we can to make it look like it is working. And then they are disappointed when it doesn’t work like they hoped. Can we really be surprised? At one organization, budgets were really tight, so it was decided by management (against the team’s best judgement) to put up an environment that did not meet technical recommendations. It worked fine for the pilot with limited usage. Then launch day approached. 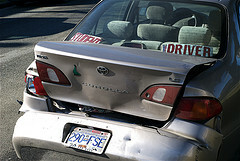 The promotions were genius which drove the usage and… Crash #1. Mad dash for technical adjustments & restart #1. Up for a little… Crash #2. Mad dash for technical adjustments & restart #2. Stable, but not where it should be. That night more adjustments were made. Finally, after a few more adjustments over the next few days they felt comfortable. It was a bitter sweet moment – great usage, poor execution. In the end they had to spend more resources to do it right than had they configured it correctly in the first place. Another organization didn’t put the personnel in place as was recommended. The months following the launch, they were disappointed by the adoption. Yet another organization chose a tool because it was not as expensive. Their requirements seemed fulfilled, but they went cheap. In the end, they spent more time in upkeep and no one used it because although it had all the bells and whistles, the user experience was weak and it was very difficult to use. Here are some questions you might think about. Please let us learn from you by commenting below. What can you do to ensure you don’t go cheap on your social business efforts? What if management is set on going cheap – how can you ‘convince’ them to spend the money it will take to do it right? What if you have already launched, but there isn’t enough of a budget from your sponsoring department to do what needs to be done? Please add your answers below! Attending last year’s Enterprise 2.0 conference was a great experience. I learned a ton, met friends I had never met before in carbon, and left feeling invigorated. But there was a nagging feeling – it was all too perfect. The sessions and keynotes were all about how great this was and how successful everyone had been. But I knew those were not the full stories. Having worked on Social Business for a few years, I had made my share of mistakes and had made a partial living off of fixing the mistakes of others and I learned a ton from these experiences. Why should a conference be any different? Why can’t we learn from each others’ mistakes? Was there a huge fear of failure? So, when the call for presenters went out, I decided to talk about failures. I had some I could share, and I was sure I could find others so it didn’t turn into a “Kevin Failure Show.” I was wrong. As I started compiling stories I realized that there were very few who were willing to talk about their failures. But I had to go forward and the only failures I knew where my own or were from organizations I had worked with – and I didn’t feel like I could rat them out. My first thought was, “I don’t have THAT many failures I could share!” Wrong again. It was amazing how many times I had failed. Not catastrophically, but even in small and simple ways. My sweet wife was concerned. “Will it look like you are a total failure? Will they understand that you are really good at what you do?” I assured her it would be just fine. But this meant I had to be very open and transparent about my mistakes. This really is not an easy thing to do (mentally). While creating the content for the session I learned that all of us make very few huge failures, but instead we make many small ones, quickly learn and adjust and turn them into wins. And the more I thought about it, the more mistakes I could name off. Soon, there were so many that I had to figure out which went into the presentation, and which I would merely mention and not explain. The day of the presentation came. I was scheduled for the first time slot immediately after the keynotes. Arriving a bit early, I set up as I watched attendees pour in to this huge room. Susan Scrupski (queen of the Social Business Council) came up and said, “Have you seen the line to get in?” I had to go see this. She was right and it was long. By the time everyone had filed in, this large room was full. I mention this only to point out that the reason they were there was not because of me, but because of the topic of failure – there were many others that felt the same way I did – a nice validation of my thoughts, but now the pressure was on (I didn’t want a live failure of a presentation on failure!). They wanted to learn from the mistakes of others so they would not repeat it. In another post I will go over the content, but there are a couple things I did in the session that were kind of fun. The day before, during the workshops, I made the above video, and that is how I started it off. Immediately after it was silent, everyone waiting for me to start. I stood there, quietly for a moment, and then said, “Hi. I’m Kevin and I have failed.” A few giggles followed. I had planted four others in the audience who, in turn, stood up and introduced themselves and said the same thing. It was a Fail Flashmob or an FA meeting (Failures Anonymous). Then I went on to talk about the nature of failure, followed by examples of failure and how they could be overcome. Time was running out and I had MANY more in the hopper (just in case time went long). I didn’t expect to explain most of them, but just use as examples. Later others told me that as I blew through the last 20 or so, they personally recognized each one and realized that we fail all the time, but we recover. At the very end I issued two challenges to the audience. The first was to share their failures and not be afraid to talk about them. The second was to join me in discussing them after the conference has ended. And so I invite you as well. Each week I will post an Enterprise 2.0 failure on this blog and encourage you to answer these two questions: 1) how can we avoid it and 2) if it still happens, how can we correct it? I have enough for a half year’s worth and by the time that comes around, we’ll all probably have that many more again. The response after the session and for the next three days was wonderfully overwhelming. Thank you to everyone who tweeted during the session, blogged (Nigel Danson, Steve Radick, Cecil Dijoux) and wrote articles (SearchCRM, CMSWire, IT Knowledge Exchange), came up and talked to me about it and referred to the session in subsequent sessions. I wish I could thank you all individually. I am truly humbled by the response. Over the years I have given many presentations and keynotes at conferences. And usually there are blog posts and tweets about them afterward. But rarely are people talking about the session BEFORE they actually see it. This is what has happened for my session at the Enterprise 2.0 Conference. First, I saw Sterling Raphael‘s tweet pointing to his post. By attending this session, I hope to come away recognizing and understanding the face of failure. Most importantly, how to circumvent it. This session should really help organizations understand what failure looks like and how to avoid it. Kevin’s session should provide a healthy contrast by tackling the subject of failures head on. What great advanced notice of what others want to hear! Obviously it is a topic that is on the minds of many, as it has been on my mind for some time. We all know there is Enterprise 2.0 failure, but rarely is anyone willing to talk about their own. We all want to be successful and to let that shine through and not look like we don’t know what we are doing (at least at times). But I figure at some point we have to admit it, and embrace it, and not only work out loud, but live out loud as the only way to really succeed is to fail our share of times. My goal is to do this topic justice and make it so everyone walks away feeling 1) it is OK to fail, 2) just not too much, and 3) how to manage failure when it does come and 4) how to avoid failure overall. It is in the first general session time slot – (great! we are starting with failure 😉 ) It may be a good dose of reality before we hear all the great ways NOT to fail that will follow. So if you are going to be there, come join me and the others. And be prepared to open up and talk about your failures as well. It’s like saying, “This new thing called the phone is nifty and all, but we don’t need it.” You don’t know it yet – but yes you do. And eventually it will come. The question is, when will you allow it? Most don’t dive in because of two factors: Fear of the Unknown and Fear of Change. Now, honestly, it is FEAR? They may not label it that, but I believe so. Social Technologies for this group are unknown and they usually don’t want to know anything about it because of their incorrect preconceived ideas – they actively resist it. They also think that everything at their company is working well enough. So did Blockbuster and Borders. Do you remember parachute pants? They were cool for about a month and then they suddenly weren’t cool anymore. Bell bottoms were in style for longer, then they were ugly. Now, renamed as “flair” they are cool again. But some things never lose their usefulness and don’t go out of style. Like toilets. And door handles. And, unfortunately, fruit cake. And ever since we started using it, social technologies within organizations – no matter what we have called it – has has only proven to be more and more useful. For those who haven’t taken it seriously yet – it’s time. For many people, just the name “social networking” scares the bejeebers out of them. Why? I have found two main reasons: fear of the unknown and fear of change. Fear of the Unknown – There are so many factors with this one. But the way to overcome it is to try it out and prove your theories right or wrong. You just have to jump in. Or you could continue to do nothing about it. But with as big as it’s getting, I wouldn’t recommend that approach. Fear of Change – Now, believe me, I get it. Changing the way you work is not an easy thing to do. You’re comfortable with what you do and how you do it. Much like everyone was comfortable 1903 with the way they travel, even after the wright brothers made some crazy flying contraption. 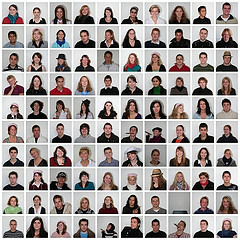 Only hearing about why you might want to use social networking in your company will only sink so far into your brain. It isn’t until you actually try it out. That is when the AH HA moment comes, and it all starts clicking. Kind of like my son who would never think of kissing a girl. But I guarantee the AH HA moment WILL come. I just hope it doesn’t come too quickly. But I hope it comes quickly for you. Well, not the kissing part, the social networking part. So the only way to figure it out is give it a good sustained try. Don’t just quit after a week of lame attempts. Find someone who knows and understands all this social stuff and ask them what you might start with. Then, let the clicking begin. MY SON: Why would I ever kiss a girl?